As a vegetarian of 20+ years, and *ahem* cookbook hoarder of 10+ years, I already own quite a few Vegetarian cookbooks. What drew me to pick this one was that it seemed to be similar in style to another series of vegetarian cook books that I like by Heidi Swanson. 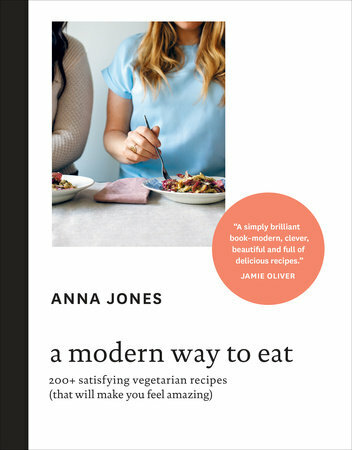 The book itself is beautiful and nicely styled, which I guess is to be expected as the author, Anna Jones, has worked as a food stylist for many years, including some for Jamie Oliver.Each section has a little introduction, and each recipe page begins with a mini introduction and background, which I feel is a nice touch. The author is British, but a lot of care has been taken to convert from British English into American English for this US release of the book, swapping Courgette for Zucchini etc, but I think some US readers that are more familiar with measuring using cups may struggle a little, as most of the recipes are based on weights (both g and oz), rather than cup measures, although teaspoons and tablespoons are present as they would usually be. Overall, while it is quite similar to other books in the genre, I think it succeeds and surpasses a lot of them through a virtue of having such a nice variety of recipes, and also being really well put together. I am really looking forward to making something from the book!